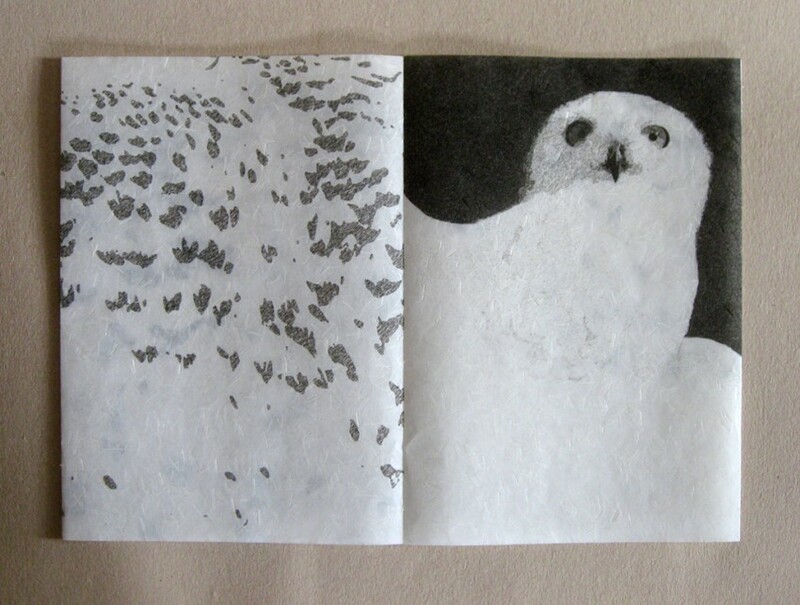 One-of-a-kind artist’s book in hard folder. Giclée printing. Ginwashi and mulberry papers, Davey board. 18 x 25.5 x 1.25 cm (7 x 10 x ½ in.) closed.